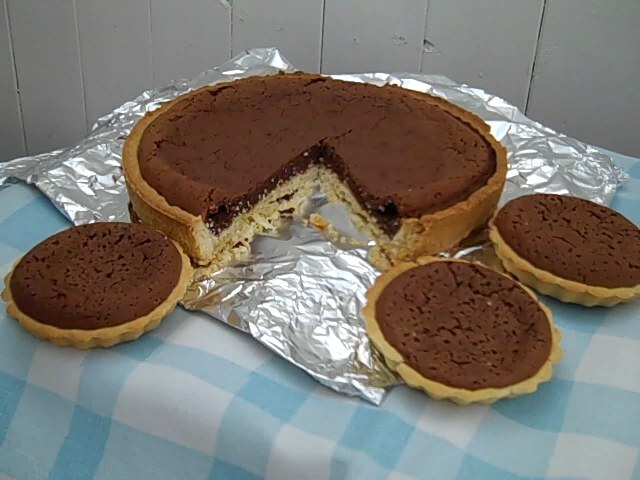 Actually I should have called this ‘Easy’ baked chocolate tart! Ready-made sweet pastry case, unless of course you like making your own pastry. Preheat oven to 160C/gas 3. Empty the Carnation chocolate filling and topping into a bowl and add the eggs. Beat on medium with an electric mixer until well mixed together and smooth. Pour into your pastry case and bake in the centre of the oven for 25 – 30 minutes, by which time the filling will be rising and setting.